This decorative light looks like an oriental rug. You can hang it somewhere in your living room and it will originally decorate it. LED lights consume not too much energy and you may not switch it off. 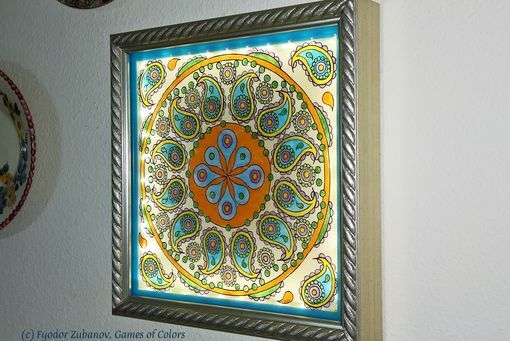 You may also order additional lights - "rugs" with different colors and patterns. Just fill a form and explain your order.